← Are cyclists the new breed of disadvantaged? 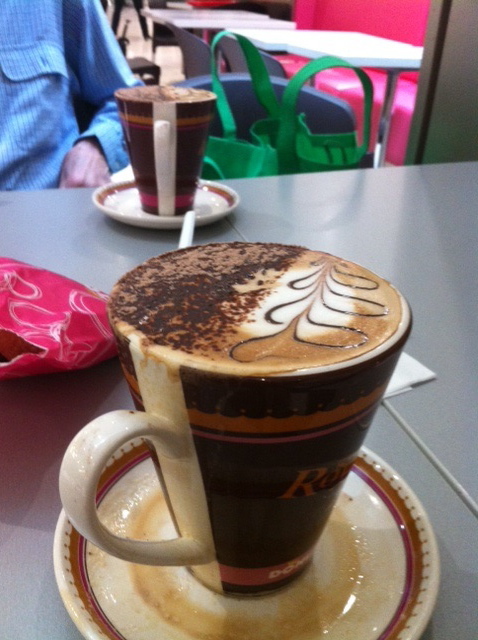 My 5th coffeeneuring ride was to the Donut King at Westfield Kotara where I met my parents for coffee. 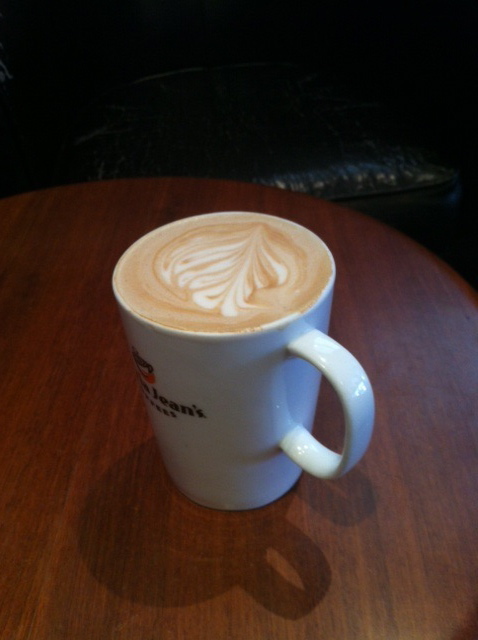 Instead of my usual soy latte I had a cappuccino and am so glad I did, if just for the wonderful artwork on it! 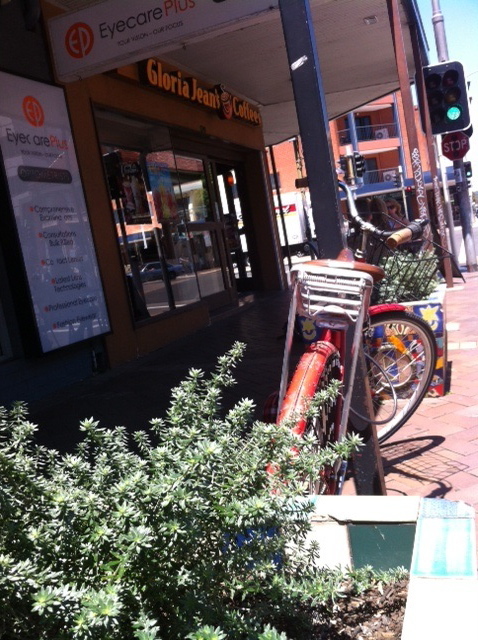 My final ride marked a move away from multinational coffee houses to the local III Beans on Beaumont St (that’s “3 Beans”, but spelt more trendily). See those market umbrellas? that’s where I sat, a lovely location on a sunny day … The table decor there was interesting, consisting of jars of dried herbs and flowers and oils. The coffee (soy latte) looked good but unfortunately was only lukewarm and I bolted it down so quickly I don’t even remember what it tasted like! Part of the guidelines is to recommend a good coffee shop. As per the rules, I have visited 7 for this comp, all of which I have been to before many times. All have their different attributes, Source for location, right beside Throsby Creek, though it does not have the best coffee. Overall, I would have to say that Gloria Jeans has won this time, though I don’t usually like the coffee there, maybe they have a new barista! This marks the final coffeeneuring post for me, thanks to MG for hosting, I will be submitting my paper work tonight! 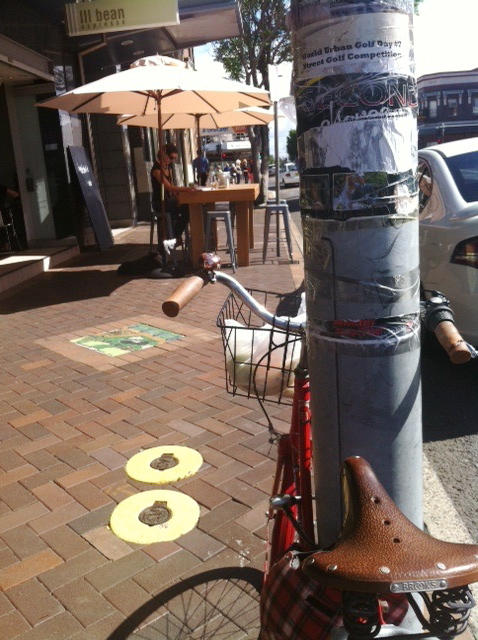 This entry was posted in Uncategorized and tagged #coffeeneuring, Beaumont St, Westfield. Bookmark the permalink. You are showing your age talking in miles!! I am thinking of trading my pushbike for some water wings or a small canoe. It is part of the rules to give the distances in miles, I actually do think in k’s now! You can use your canoe in the new pond that has just formed in my front yard! 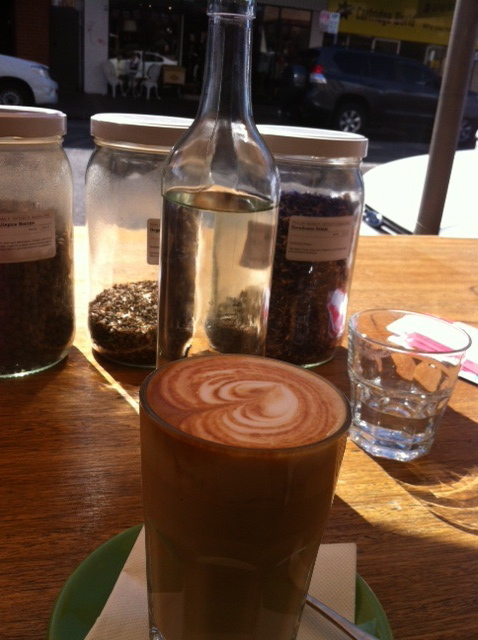 The first photo shows THE BEST latte art I’ve ever seen. Congratulations on completing the Coffeenering Challenge. Thanks Annie, I was so impressed with that artwork too!